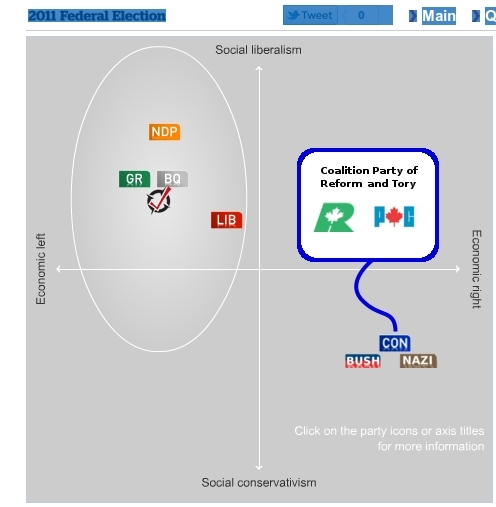 There is an online site called Vote Compass where one can get an idea of which party to vote for depending on answering a series of skill testing questions. Unfortunately for me I am closest to voting for the Bloc Québécois, which is not running a candidate in Hamilton Ontario. The compass creates a lovely graph for you to visualize where you fit into the spectrum. Previous Previous post: Bad Grammar. Bad Outcome.